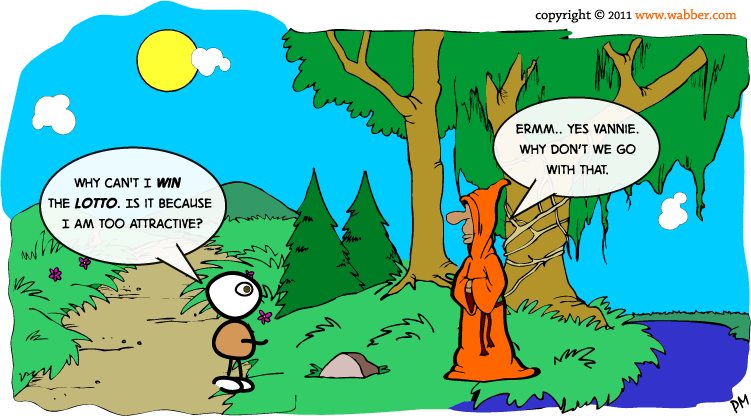 Vannie asks The Guru why he has not won the lottery and offers a possible explanation. The Guru, with his infinite wisdom, replies. Please remember that while the Guru sees all, knows all and understands all, The Guru provides the answer to you that is most appropriate at the time.